New results from a study conducted by the Wine & Spirit Education Trust (WSET) with Living Ventures and William Grant & Sons reveal that effective spirits training increases upselling to premium spirits by +16.9%, significantly contributing to the opportunity for revenue growth in on-trade businesses. A controlled study was conducted to assess the impact of WSET Level 2 Award in Spirits training on the sales performance of customer-facing UK on-trade workers. The WSET Level 2 Award in Spirits provides comprehensive training for individuals wishing to develop their expertise in spirits and liqueurs. Students learn about the fundamental principles of spirits production, becoming familiar with the main categories of spirits and developing the skills of tasting and evaluating spirits, while also exploring key brands and the use of spirits in cocktails. Thirty Living Ventures employees from ten branches were chosen for the study. Two employees from each branch received training from WSET Approved Programme Provider William Grant & Sons, while one employee from each branch was selected for the control group. Sales data was analysed for each employee for the three months pre-and post-training. To assess the impact of training on volume of spirits sold, the total sales volumes for spirits was split into figures for house spirits and premium spirits using a list of the house pours used at Living Ventures. The unit sales were volume-adjusted to represent a single serve at a time. The premium shares for the before and after data sets were calculated, and then checked for a gain or decrease for each employee. The trained group increased their premium sales share by an average of 4.9% versus a drop for the control group of 10%, which can be attributed to seasonal changes. Combining these figures shows that the trained group outperformed the control group by 16.9% in the after-training period. This is evidence that following training, staff’s improved product knowledge increased their confidence to encourage customers to choose a premium spirit. WSET spirits training demonstrated a sustained positive impact on the efficiency and revenue-generating abilities of employees. More and more businesses are recognising that well-trained employees are the key to better customer service and stronger profits, with investment in education proving positive return. WSET saw +26% growth in UK candidate numbers for Level 2 Award in Spirits in the 2016-17 academic year versus the previous year, and this year sees the launch of the newly updated qualification. “Commercial training for staff working in the on-trade drinks sector is becoming increasingly important, particularly as it is a sector that needs to work very hard to maintain competitive advantage and to increase profits year on year. Many think training is an expensive cost and they won’t see the benefits of it in their business, but the more staff understand a business’ products the better they will perform. 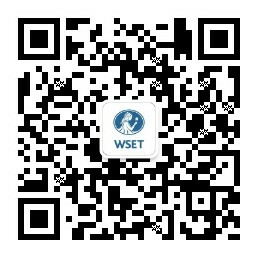 Follow this link to find out more about WSET qualifications.